It was an honor to represent the Billtown Blues Association (www.billtownblues.org) in Memphis, TN, at the 2013 International Blues Challenge! Thank you to my supporters for providing me with another great opportunity like this. This was my third time competing and I realized how different each Beale Street experience has been. My first time in Memphis (2008) I competed with Black n’ Blues (http://www.cdbaby.com/cd/blacknb), the second time (2009) with the Ann Kerstetter Band (http://www.annkerstetter.com) after having reconstructive surgery on a freshly reattached thumb. This last time (2013) I competed as a solo artist and Luthier! The one constant, when reflecting on my Memphis trips, is how great a time I’ve had and how much I’ve learned. The amount of talent in both the band and solo/duo divisions never ceases to amaze and humble me. For many reasons this recent visit has been my favorite thus far! The IBCs inspired my first solo tour, which encompassed 7,000 miles of travel, performing in 15 different cities across the USA! I played just shy of 30 shows all in fantastic new venues while promoting my fresh solo album, “Karma” (http://bit.ly/KarmaCD). See tweets from my solo tour by searching for the hashtag #SWKarmaTour on Twitter (https://twitter.com/guitarleys). I was always nervous about playing solo shows, so to conquer my fears I took them head on in a big way! Not only did I promote and share my music on this tour, but I shared my profession in the art of lutherie! I was proud to perform my original songs on the guitars that I obsessively built myself. I also got to share this great experience with my love and best friend. Memphis has really grown since the last time I visited! While the usual Beale Street barbecue and blues joints are amazing, it was nice to see many new and successful shops and restaurants on Main Street. I remember taking long runs in the afternoons on my last visit when it was all under renovation! 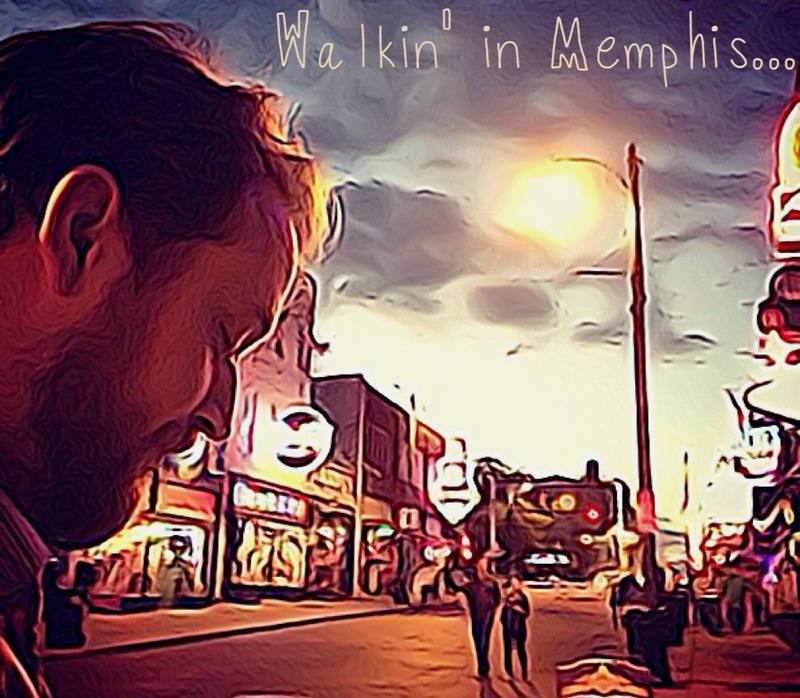 Now Memphis’ downtown, just outside of the Beale St. section, has more of a local’s feel — it’s less touristy, very safe, and full of great places to shop and eat! The beautiful buildings, cobblestone walkways and the Trolley system are comforting and give the town a quaint feel. I really felt it was a city and area that I could move to! I could open a Luthier’s repair and wood shop, build and fix all the stringed instruments and amplifiers by day, then, after sunset, head down to Rum Boogie Cafe or King’s Palace and show them off! Sounds like the good life to me! All in all my recent trip to the Memphis IBCs was stellar! It was my favorite visit yet! I plan to compete again in the Billtown Blues Auditions next year and will hopefully return to Beale in 2015. By then I should have at least another album or two and some cool new custom built guitars to show off. I think I’ll just keep competing in the IBCs as long as I am able and hopefully I’ll win it someday! It’s always worth a trip for all the great music, and it’s always an enriching learning experience. I feel I have many years left of paying my dues in the world of the blues, but will hopefully one day deserve recognition as a guitar player, singer, songwriter and a Luthier. This entry was posted in Blues, Guitar, Luthier, Music, passion, Singing, Travel, Uncategorized and tagged blues, Guitar, IBC, Lutherie, Luthier, Music, Pennsylvania, Sean Farley, Tour, Williamsport by Guitarley's. Bookmark the permalink.